DynCorp International announced December 6, 2012 that it has been awarded a contract with the U.S. Army to provide base operation support services at Soto Cano Air Base in Honduras. “We are honored that the U.S. Army has chosen DI to support this important program in Honduras and excited to expand our footprint in Central America,” said Kenneth Juergens, group vice president, Global Logistics and Development Solutions, DynCorp International. Kellogg, Brown, and Root - KBR has been active on the African continent for nearly 60 years and continues to take on complex projects with its customers and partner nations. 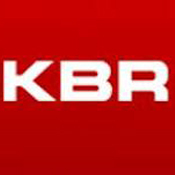 KBR's major African office is located in Johannesburg, South Africa and play a major role in the construction of ammonia plants in Egypt, a GTL facility in Nigeria and two more LNG liquefaction trains at Bonny Island, which will be the largest capacity LNG trains in the world. On November 16, 2012 DynCorp International, was awarded an $80M cost-plus-fixed-fee contract. The award will provide for the mentoring and training of the Afghanistan National Army. Work will be performed in Afghanistan, with an estimated completion date of Oct. 31, 2013. Despite the success stories of the establishment of Afghanistan’s National Army, there is still the grim reality that it is very weak without international military assistance. Today Department of Defense awarded Offshore Service Vessels, LLC $7,264,728 contract to support up to 30 military personnel for 30 days without resupply for U.S. Navy missions. The vessel will also provide support to Maritime Security Operations. Offshore Service Vessels, LLC (Edison Chouest Offshore) provides marine transportation services for customers in the United States and internationally. The company also engages in operating a marine port to transfer cargo and to provide support services to accommodate deepwater offshore vessels; the design, engineering, manufacture, and installation of custom control and monitoring systems to the general public and the marine industry; distributing marine PCs; the design, manufacture, and installation of heating, ventilation, and air conditioning (HVAC) systems; and providing repair services and parts. ARLINGTON, Va., – PAE has been awarded a contract from the U.S. Department of State (DoS) Bureau for International Narcotics and Law Enforcement Affairs (INL) to provide administrative, technical, maintenance, training, and logistics/procurement support to the Colombian National Police Aviation Program (ARAVI), which supports counternarcotics efforts throughout the country. The value of the contract is approximately $149M for a period of performance consisting of one base year with the possibility of four one-year option periods. Transformation Advisors Group L.L.C., has been awarded a $7M contract on Tuesday to provide the Task Force for Business and Stability Operations with subject matter experts to advise the government on the best courses of action for the establishment of a mining industry in Afghanistan. TAA deploys seasoned, experienced change advisors that implement a value driven approach to solving urgent and complex client business requirements. TAA also has proven to rapidly deliver dramatic improvements in operating results and Return on Investment (ROI) that consistently exceeds our clients’ expectations. DynCorp New AFCAP contract: Expeditionary Civil Engineer Squadrons Support, Afghanistan. DI has been selected for a task order to provide monitor support for the Expeditionary Civil Engineer Squadrons (ECES) in multiple locations in Afghanistan. The competitively-awarded task order has a one-year base period with two, one-year options and a total contract value of $23.9 million if all options are exercised. Honeywell has won $31 million in task order contracts from the U.S. Marine Corps (USMC) and Army to support the withdrawal of military equipment from Afghanistan through the company’s Prepositioning & Marine Corps Logistics Services and 401st Integrated Logistics Support Services programs. As the U.S. military withdraws forces from Afghanistan, Honeywell will continue to provide expertise in repair, maintenance, transportation, and inventory accountability and management for high-value equipment and vehicles to U.S. forces in the Middle East including Army Brigade Combat Teams and Marine Expeditionary Units. Fluor Corporation announced today that the U.S. Army awarded the company a new Task Order to perform work in Africa under the Army’s Logistics Capabilities Program IV (LOGCAP IV). The Task Order is in support of U.S. Africa Command’s mission to protect American interests and strengthen Africa’s defense capabilities in the region. Fluor will book the work into backlog in the first quarter of 2012. New Contract Expands Company’s Global C4ISR Integrated Systems and Support Services. Trace Systems Inc. (“Trace”), today announced that it has been awarded a prime position on the US Army’s five-year, $10 billion dollar Global Tactical Advanced Communications Systems (GTACS) contract. This Indefinite Delivery / Indefinite Quantity (ID/IQ) contract will support the current and future missions of the Program Executive Office – Command, Control and Communications – Tactical (PEO-C3T), the current customers of the expiring Worldwide Satellite Systems (WWSS) contract as well as other government customers worldwide. Lockheed Martin has been selected by the National Science Foundation (NSF) to operate and maintain the support infrastructure for the United States Antarctic Program (USAP), which enables universities, research institutions and federal agencies to conduct scientific research in the region. NSF is the designated single-point manager of the program, providing funding for research in Antarctica as well as logistics and infrastructure needed by other federal agencies for their research there. The multiyear contract is valued at approximately $2 billion if all options are exercised. The U.S. Department of State has awarded a contract to Northrop Grumman Corporation to continue providing staff to conduct peacekeeping operations and humanitarianism assistance training for the African Contingency Operations Training and Assistance (ACOTA) program. The contract has a potential value of $150 million over five years. "The ACOTA program is to arguably the most successful engagement program that the U.S. State Department has had in Africa. The objective is to enable participating nations' militaries to develop their own trained unit capacity to provide peacekeeping support operations where required," said Mike Devlin, Northrop Grumman Technical Services International Program Director. "We are most pleased that we have been again selected to continue successfully supporting the ACOTA mission." Pacific Architects & Engineers (PAE), a Lockheed Martin (NYSE: LMT) company, has been selected as one of four awardees for the State Department's Africa Contingency Operations Training & Assistance (ACOTA) program, an indefinite-delivery, indefinite-quantity contract with a ceiling value of $500 million over five years. "PAE is pleased to be expanding our work in support of the State Department in Africa," said Mike Dignam, PAE President. "PAE has worked to build capacity in Africa for more than 15 years, and the peacekeeper training we will provide under ACOTA continues this proud tradition."